Are We Seeing Common Envelopes After All? Authors: N. Ivanova, S. Justham, J. L. Avendano Nandez, J. C. Lombardi Jr.
Astronomers have an interesting problem: some binary stars are incredibly close together. Figure 1: Schematic of common envelope evolution (credit: Adrian Potter). You may wonder why that is a problem. After all, one might expect binaries to form at a wide range of initial separations. However, when I say incredibly close together, I mean it. Binaries have been discovered with orbital periods shorter than one day and in some cases blaze around one another over the course of a few mere hours. This corresponds to an orbital separation of less than 1/20-th of the distance between the Sun and Mercury! And it gets even juicier. All of these close binaries contain at least one white dwarf or neutron star, which, if you recall, represent the final stage in the evolution of many stars. Most objects which are now white dwarfs or neutron stars would have, at some time in the past, gone through a red (super)giant phase, during which their radii ballooned to at least 300 solar radii – well past the orbit of Mercury in our solar system. Think about that for a second… these systems contain stars orbiting so close together that it seems as though there must have been a time in the past when they totally engulfed one another. One prominent theory that explains this conundrum is referred to as common envelope evolution. It works just like it sounds. Under certain circumstances mass can be transferred from one star in a binary system to the other. Under even more special circumstances that mass transfer can proceed so quickly it causes one star to completely engulf the other (for a good summary of mass transfer in binaries see this astrobite). 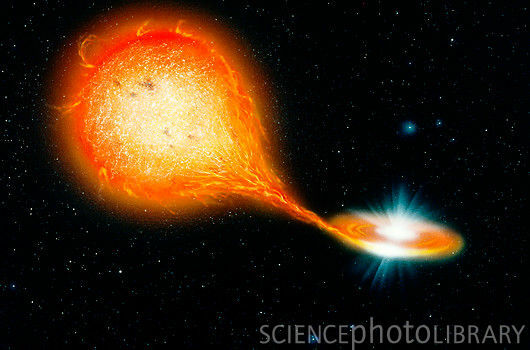 The two stellar cores still continue to orbit one another, but now inside a single common envelope. The details of what occurs next are still poorly understood; however, we have put together the following theoretical picture. The presence of the outer envelope introduces a drag or frictional force on the orbiting stellar cores. This drag causes them to lose energy to the envelope and, as a result, begin to orbit closer and closer together. If you carry this to its natural conclusion the two stars will eventually merge. However, it is also possible they could transfer enough energy to the envelope to eject it from the system. In this case we would expect to find a very close binary left over. Detailed models of this sort of have been constructed to explain many of the very short period binaries that have been observed. Figure 2: Schematic of plateau luminosity and duration which their models can reproduce. See text for details. Despite the fact that the above model can explain the existence of several extremely short period binaries, we have never, to our knowledge, observed a star in the common envelope phase. Not only is the phase predicted to be incredibly short-lived, but it is also unclear how two stars in the common envelope phase would appear to an outside observer. That is where today’s paper comes in. The authors describe a way by which we could theoretically expect to see the envelope being ejected. And, to boot, they claim their predictions match a set of stellar explosions which have already been observed. They propose that we should be able to see these events because of a process which also allows us to see a significant amount of visual light from the explosion of a star which still had much of its hydrogen envelope (a Type IIP supernova). In that situation, the supernova produces a shock wave which heats, ionizes, and ejects the envelope. A photon is much more likely to interact with ionized hydrogen than neutral hydrogen, and thus the ejecta become opaque (this might seem counter-intuitive, but it is because of Thompson scattering). However, as the ejecta moves outward, it cools. Eventually, when it reaches a temperature of ~5000 K the ionize hydrogen and electrons will recombine. When this occurs, the material suddenly become more transparent to photons. 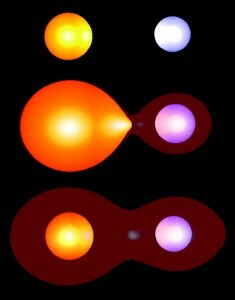 The supernovae light we see therefore originates from the surface where recombination is taking place (the “photosphere”). Interestingly, this occurs at about the same radius for all of the material. As a result, the luminosity we see from the supernova is essentially constant (both the radius and temperature are constant; think of blackbody radiation). We see a plateau in the light curve. FIgure 3: Example luminous red novae light curves. The authors of today’s paper propose that optical emission could result when the envelope is ejected from a common envelope system in a very similar way. 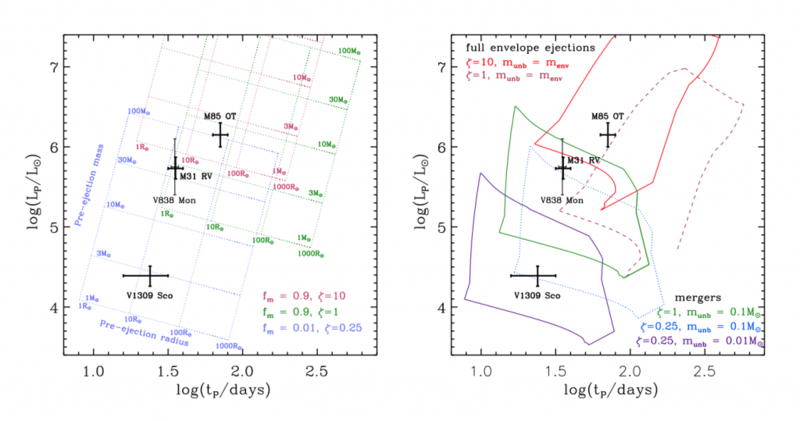 Although the envelope material isn’t shock-heated as it is in a supernova, they point out that for all but the coolest stars, a significant fraction of the hydrogen in the envelope should already be ionized. 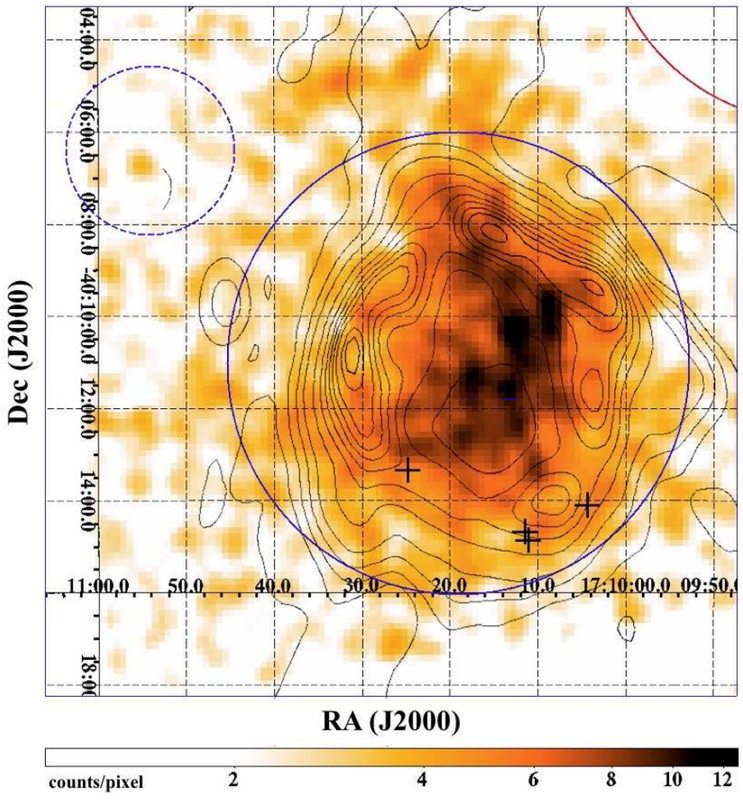 They predict a transient object which has a relatively cool temperature (~5000 K), a plateau phase, and a sharp decline (once the recombination has finished and all of the ejecta becomes opaque). The luminosity and duration of the plateau phase depend strongly on the kinetic energy and mass of the ejection. The energy involved in the ejection of a common envelope is far less than the energy in a supernova and, hence, these events should appear much dimmer. Figure 2 displays the parameter space in which the authors believe these objects can appear. 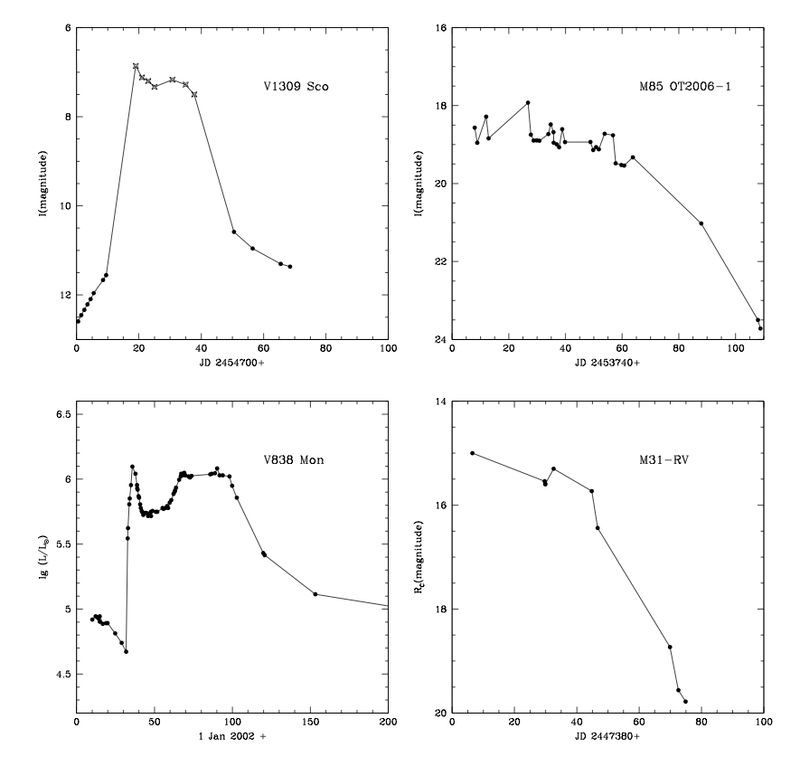 The plateau luminosities for all their models range from four to seven solar luminosities and the plateau time scale range from 10’s to 100’s of days. The grids in the left plot show the pre-explosion masses and radii while the shapes on the right plot correspond to different total ejected masses. And lo and behold! Objects which possess all of these criteria (as well as several other discussed in the paper) already exist. They are known as Luminous Red Novae (LRNe). They fall at intermediate luminosities between classical novae and supernovae, appear quite cool, and often show plateau-like features. In Figure 3 we show light curves for four of these objects, three of which are shown as black crosses in figure 2. 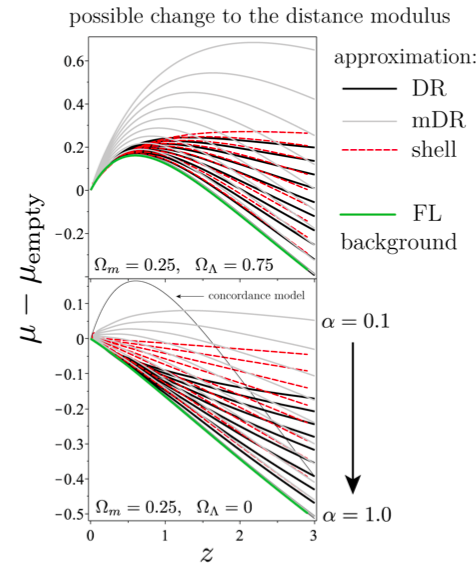 They all fit nicely within the parameter space of the authors’ simple model. Although there are some other theories that attempt to explain the properties of these objects, it is their hope that as more objects are discovered we will be able to perform more detailed modeling.